Facebook is one of the most powerful marketing tools available. When a company has a strong core business and then layers on well-executed Facebook marketing, it’s transformative. Sort of like the expression “building strong communities one child at a time,” Facebook marketing can be a game changer for businesses with high impact results built one campaign at a time. Surprisingly, many companies, both large and small, neither prioritize social media nor feel like they have the time to commit to it. To the extent that there is a social strategy in place, results are neither tracked nor measured. Many people perceive Facebook as a social network rather than a powerful marketing platform. But, if you’re a business owner and you are not actively using Facebook to market your products and services, you are missing a huge opportunity to find, reach and connect with your customers. The numbers are grim. According to an article by Social@Ogilvy, organic reach, people who see your Facebook post without any paid advertising boost, amounts to approximately 6% of your followers. For Facebook pages, the primary tool for business, it is closer to 2%. Social@Ogilvy’s prediction based on their interactions with Facebook is even more bleak,”Organic reach of the content brands publish in Facebook is destined to hit zero. It’s only a matter of time.” So, if your social media strategy includes posting to Facebook without a paid social strategy, you are not reaching the vast majority of people that follow your page. Facebook Tip #1: Create an audience in Facebook Ads Manager, and boost your posts. If your business is small, even a dollar or two spent per post will dramatically broaden your audience reach. Facebook posts with a picture outperform ones without – dramatically. According to BuzzSumo, “…updates with images had an amazing 2.3x more engagement than those without.” Every Facebook post should have an image, and the abundance of high-quality free stock photo sites makes this task an easy one. Instead of having a Facebook page that looks like a mishmash of posts plus the occasional image, represent your business with great pictures and thoughtful copy every time you post. Facebook Tip #2: Add images to each and every Facebook post. Use free stock photo sites like Pixabay, Pexels, or Stock Up to find them. WhoIsHostingThis also has a list of close to 100 free stock photo sites. If you are curating the post content and you don’t like the attached image, you can still upload your own graphic and make it the primary image for the post. Facebook has an incredible array of audience targeting options. You might be surprised just how granular the targeting can be. When setting up Facebook ads, filters help you zero in on the audience you are trying to reach. In addition to age, gender and location, one filter that is often overlooked is net worth. If a business sells high-end homes, luxury cars or exclusive experiences, for example, it’s not a bad strategy to use the net worth income filter. 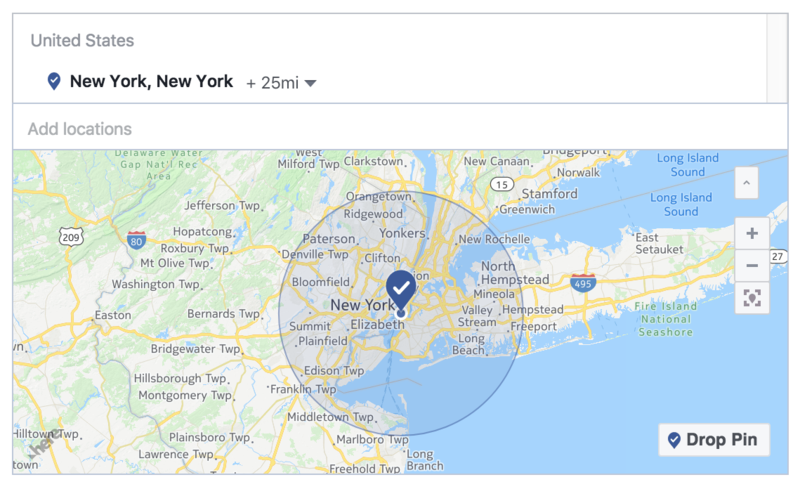 Another important filter in the suite of audience targeting tools offered by Facebook is location – the ability to target a certain radius around a city or even a certain zip code. Facebook Tip #3: Identify and then target your ads towards potential customers by using relevant demographic or location Facebook audience filters. Location based businesses want to know whether social media campaigns drive foot traffic into their stores. Facebook has introduced a Store Visits campaign option. The idea is that if you have a bricks and mortar business, you can create an ad and Facebook will show the ad to people most likely to be in that area. Apparently, Google plans to roll out something similar for display network ads. The Facebook Store Visits campaign has limited metrics. We recently compared the results for an established Google remarketing campaign against a Facebook Store Visits campaign over a one month period. We had the same marketing dollars applied to each and it was the same client – one month we tried Facebook Store Visits and one we kept the original Google remarketing campaign. Website traffic and Facebook referral traffic to the website were markedly down using the Store Visits campaign, so our conclusion is there’s still lots of work to do on this front, but it’s the right idea for sure. Facebook Tip #4: Use the new Facebook Store Visits campaign option in addition to, not in lieu of your current marketing strategy. The idea of in-store foot traffic as a measure of social media conversion is here to stay. This Facebook feature is really useful. In Facebook Insights, there is a section called Pages to Watch. You can add Facebook pages for your competitors and look at comparative metrics such as Total Page Likes, Posts This Week and Engagement This Week. If the engagement for one of your competitors’ Facebook pages spikes or is consistently strong, Pages to Watch serves as a reminder to see what they are doing. Facebook Tip #5: Use Pages to Watch in Facebook Insights and track 5 competitor Facebook pages. Set a goal to surpass their metrics and be cognizant of what they are doing, and see if your page can climb to the top of your Pages to Watch list. According to TechCrunch, over 8 billion videos are watched on Facebook every day. It’s equivalent to 100 million hours of time that people are watching video on Facebook. Even more important, Facebook is rated as the most impactful social channel for video — 8.4X higher than any other social channel, according to Animoto. Currently, a Facebook video can be up to 45 minutes in length while Instagram, by comparison, only permits video uploads of between 3 and 60 seconds. The ability to upload lengthier videos on Facebook makes it a versatile, robust video platform. Facebook Tip #6: Build video into your marketing strategy and post videos on Facebook. As of June 2017, you can use a video for your Facebook cover too. A steady stream of online reviews has become the new normal for business. In a list of top 10 review sites, Facebook ranks #2. With an estimated 214 million Facebook users in the US and 1.94 billion monthly active users worldwide, it is an ideal platform to collect online reviews and respond to customer feedback. Positive reviews on 3rd party platforms such as Facebook are credible social proof for your business and drive revenue, foot traffic, and consumer purchasing decisions. Facebook Tip #7: Activate the Reviews Tab on your Facebook business page so that you can collect online reviews and engage with your customers. Answer your reviews promptly and professionally. When customers visit your business, they can “check-in” on Facebook, an option which tells others via the news feed that the customer is at your business. Depending upon what audience the customer chooses, either the public or just friends can see (s)he is at your business. Could there be a better endorsement? In addition, the person checking in at your business can tag friends, upload photos and write a post. As a business owner, you should LIKE the check-in post as a way to say – we’re glad you’re here! Facebook Tip #8: Take advantage of Facebook check-ins by reminding your customers to check-in while they are at your business. If you’re a retailer with free samples, put some in a basket on your counter and let customers choose one if they check-in. Check-ins are an easy and effective way to get the word out about your business to people who may not otherwise know about you. If your business offers guest Wi-Fi, Facebook Wi-Fi is an interesting way to advertise your business, reinforce your brand and build engagement with your Facebook page. Once you set it up, the way it works is that when customers want to access your guest Wi-Fi, they are presented with two options. If they check-in on Facebook, they get immediate Wi-Fi access. If they don’t want to check-in, they can still input your guest Wi-Fi password as normal and skip the Facebook check-in. As mentioned in #8 above, check-ins are broadcast on other people’s Facebook news feeds, so it’s great advertising for you. Facebook Tip #9: Set up Facebook Wi-Fi and actively add your promotions on your Facebook page. When people check-in to access your Wi-Fi, they can see business specials, events or announcements that you have posted. Facebook Live gives you the opportunity to live-stream broadcasts to potential customers and see their reactions and comments. You can give an insider’s view of what you do behind the scenes or offer a longer how-to instructional video. As you build a following, people can choose to get notifications when you are streaming, and there is even a Facebook Live Map so people that may not know about you can find Facebook Live videos currently in progress. Facebook Tip #10: Interact with your audience using Facebook Live. Give them a glimpse of an event on location, a walking tour of your store or even share your desktop screen and offer a tutorial. Every company, no matter the size, can use Facebook to market their business. It’s one of the most versatile, impactful marketing platforms available, and much of what you can use is free. What’s not to LIKE about that? If you need help with your Facebook marketing or don’t know how to get started, contact us. 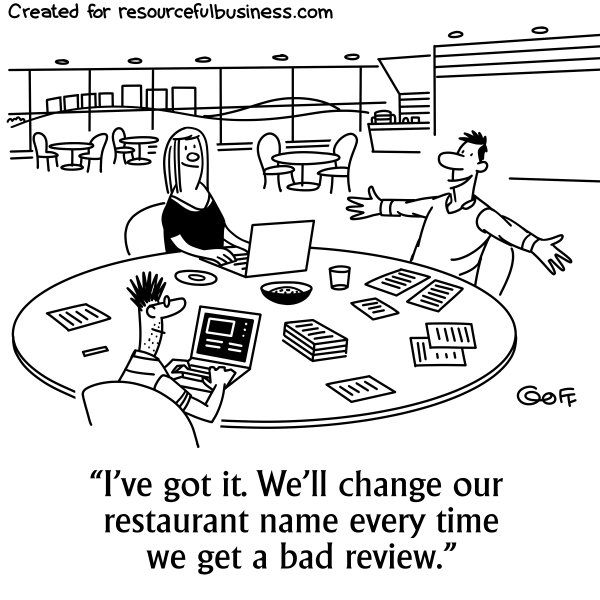 If Your Business Gets a Negative Review, What Should You Do? Nice articles and very informative facts. No one produces these types of pieces of information. It’s like a professional learning Blog Must be recommended for Beginners. Thanks, Mahedi! So glad you enjoyed it. Hi, Nice and informative article. Social media marketing services are one of the best practices nowadays most of the organizations from startup to big brands are using. It’s very helpful in showcasing our business to the right person in right time. Very nice article. Thanks, Sandy. We find that especially for retail businesses, social media marketing is essential and keeps a product or service top of mind for customers.